This chapel which was built in 1908 (on a site acquired in 1905) by W. Griffiths & Son of Ellesmere to a design by Mr Shayler of Oswestry, at a cost of �00, has a tower, which was not a common feature of nonconformist chapels in Shropshire. The chapel opened on Wednesday the 22nd July 1908. It is still in use as a Methodist chapel in 2016. 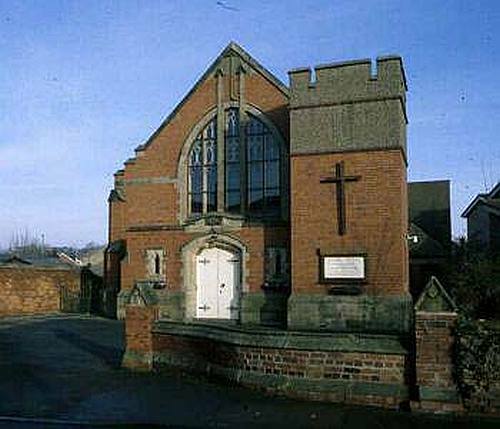 In addition there were two other Methodist chapels in the town, one belonging to the Wesleyan Methodists built in Watergate Street in 1844, and the other belonging to the Wesleyan Methodist Association, built in Scotland Street in 1835.